Whereas decision-makers once looked upon document outputs as a fixed operational cost, that view has changed. Documents and their associated processes are recognised to have a significant effect on commercial performance, both in terms of cost and function. 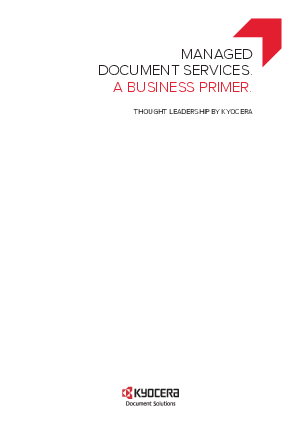 Download now to find out how Managed Document Services creates value for your organisation.